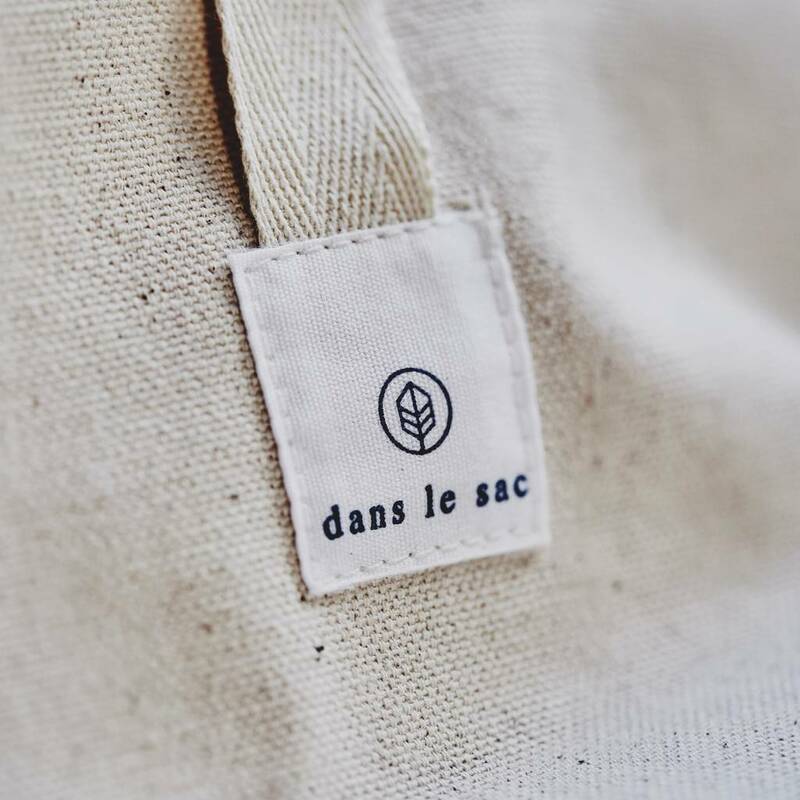 A range of excellent quality, thick cotton canvas bags designed for carrying fresh produce from the bakery or food market. 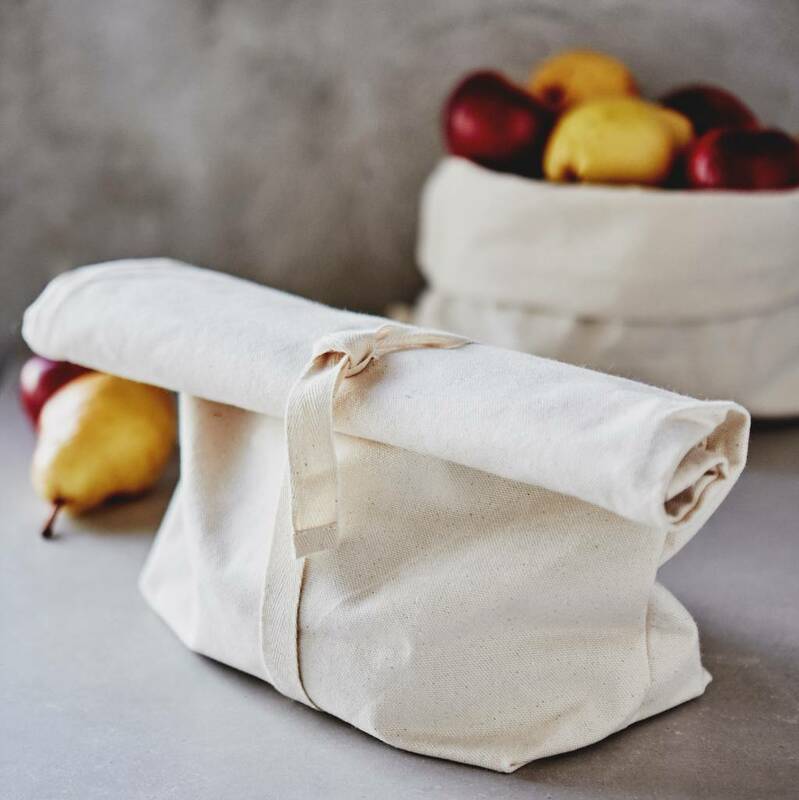 Perfect for helping to reduce the amount of single use plastic and paper bags still widely being offered for fresh produce. 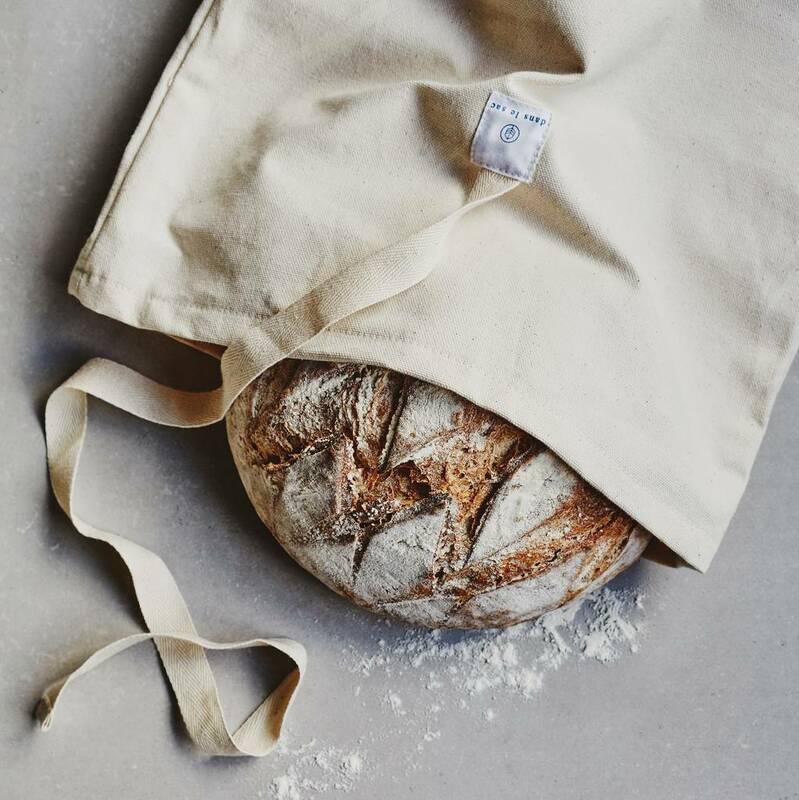 Because the bags are made from all natural fibres, they are also perfect for storing fresh bread as they prevent the bread from growing mould and also creates a barrier from any drafts which would dry it up. This method of storing bread has actually been used for a very long time and is still recommended by bakers to this day. 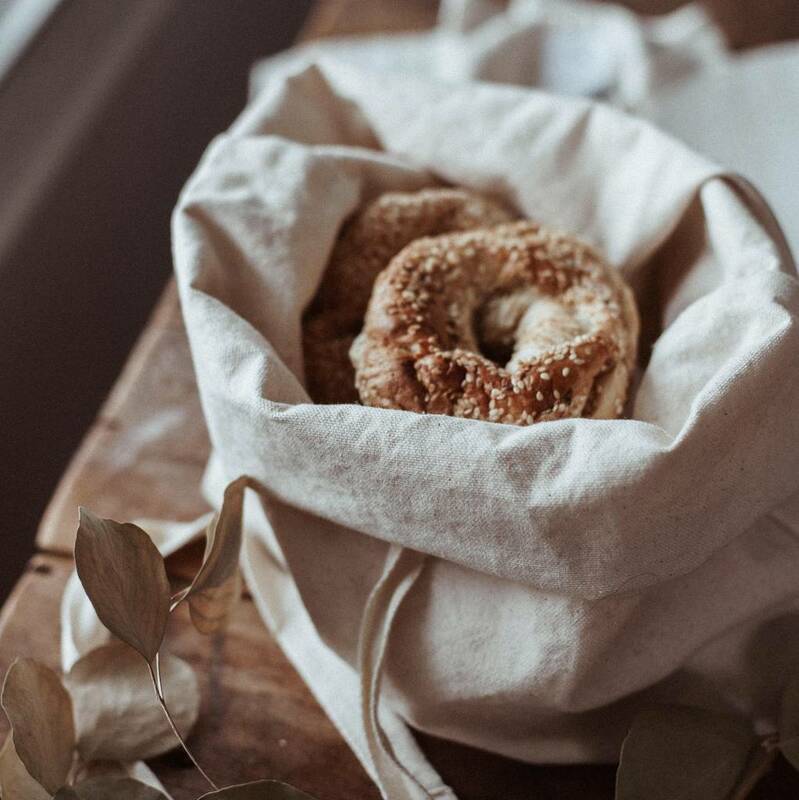 The air exchange maintains the moisture at an optimal level to preserve the original taste and texture, as well as holding in that wonderful aroma of freshly baked bread! For best results the bags should be sealed as tightly as possible. Reusable Bread Bag - A high quality, thick cotton canvas bread bag designed to carry freshly-baked bread from the bakery or food market. 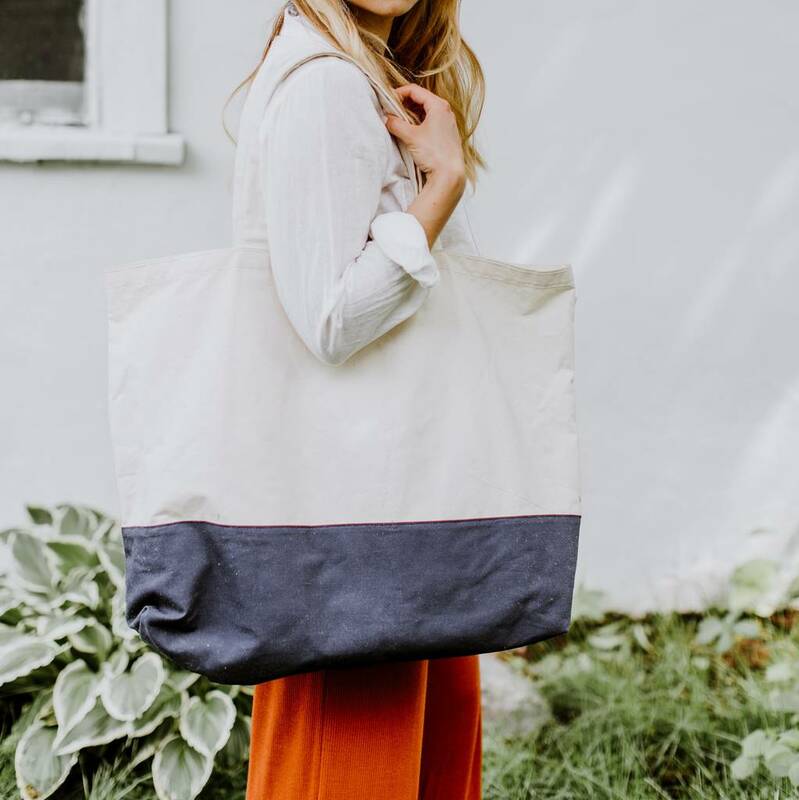 Features a flat bottom and a cotton tape strap that is designed to be wrapped around when the bag is rolled down and tied securely to itself. Bag measures approximately 34-36cm wide maximum x 33cm high. Strap length approximately 69cm. Also works equally well for storing fruit and vegetables, and as a bread basket with the sides rolled over a few times. 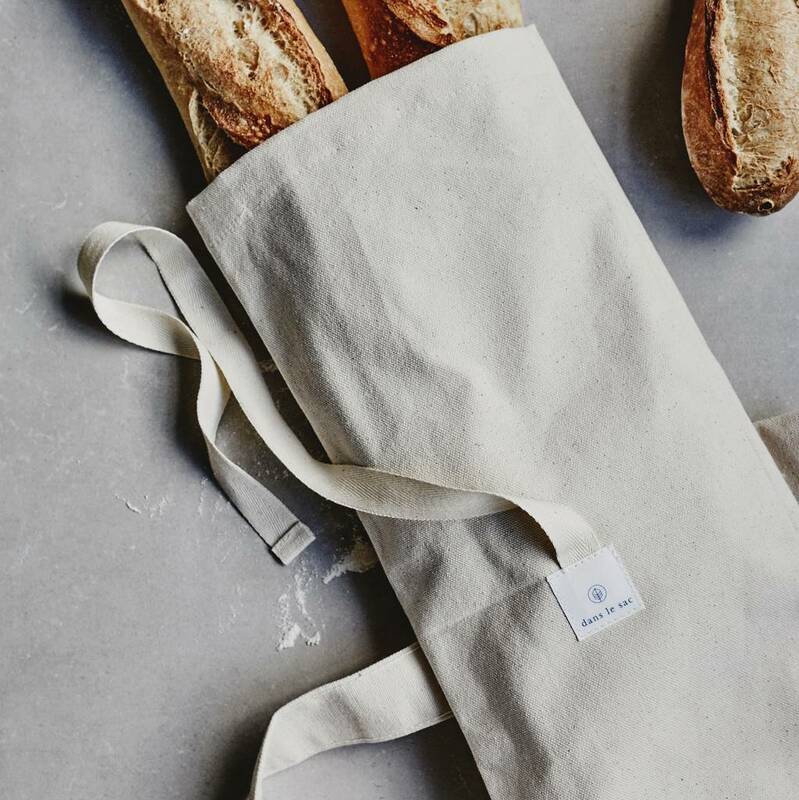 Reusable Baguette Bag - A high quality, thick cotton canvas bread bag with handy shoulder strap designed to carry freshly-baked baguettes from the bakery or food market. Features a cotton tape strap-and-loop closure so the bag can be rolled over at the top and tied securely. Bag measures approximately 19.5cm wide x 71cm long - fits two standard size baguettes. Shoulder strap measures approximately 73.5cm long x 3.8cm wide. 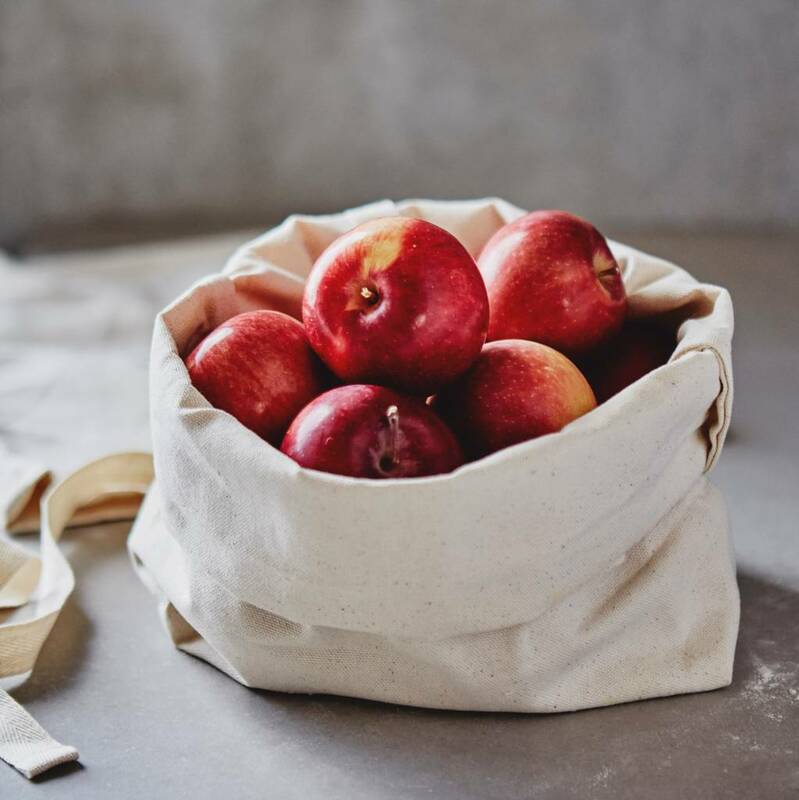 Market Bag - A very spacious, high quality, thick cotton canvas market bag with wide shoulder straps designed to carry fresh produce from the shops or food market. The bag's strength and durability means it can be used for trips to the beach or supermarket and is perfect for daily use. 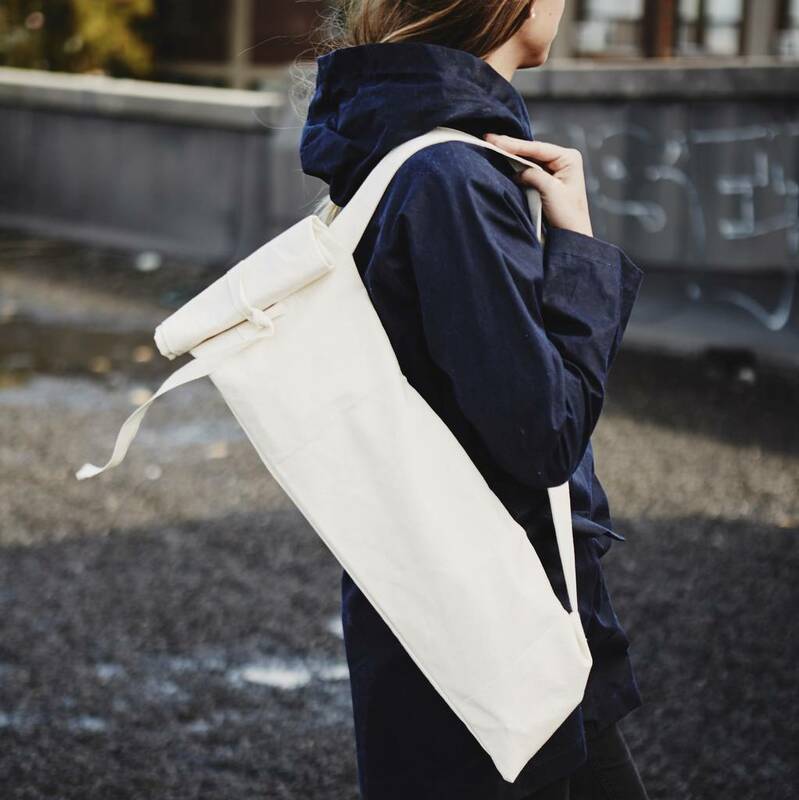 A stylish way of helping reduce the amount of plastic waste in our oceans. Bag measures approximately 59cm wide maximum x 48cm deep maximum. Shoulder straps measures approximately 52.5cm long x 3.8cm wide. Various sizes - please see description above.